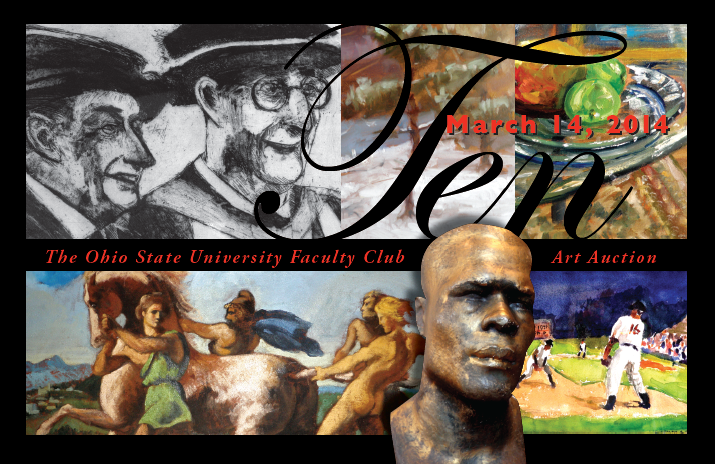 Throughout the past 20 years the OSU Faculty Club’s Art Program has featured art exhibits by some of the finest artists in the country. What makes this art program unique to The Club and University is that each artist highlighted has some sort of tie with Ohio State. The campus community has an opportunity to explore fine art exhibits compiled by their very own fellow buckeyes! 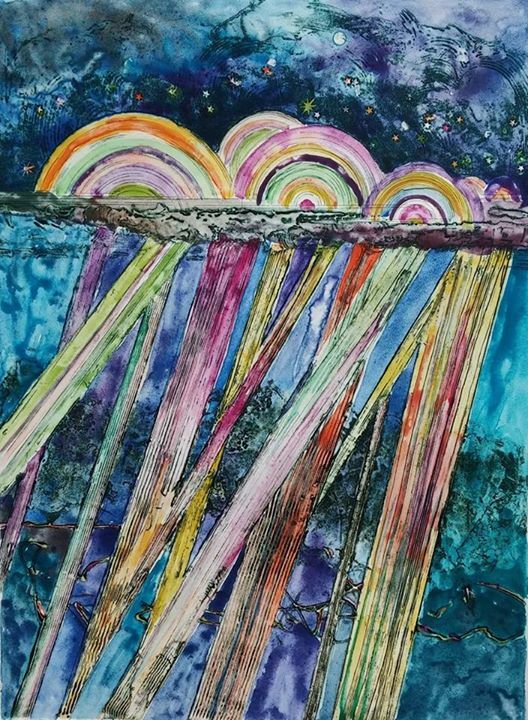 A variety of exhibits are featured throughout the year on a rotating basis and are managed by The Club’s art curator, Lisa Craig Morton. The goal of The Club’s art program is to support the Ohio State and local art communities. Our facility also receives the benefit of being beautifully decorated with distinctive artwork. All of the exhibitions are open to the public, so please stop by! 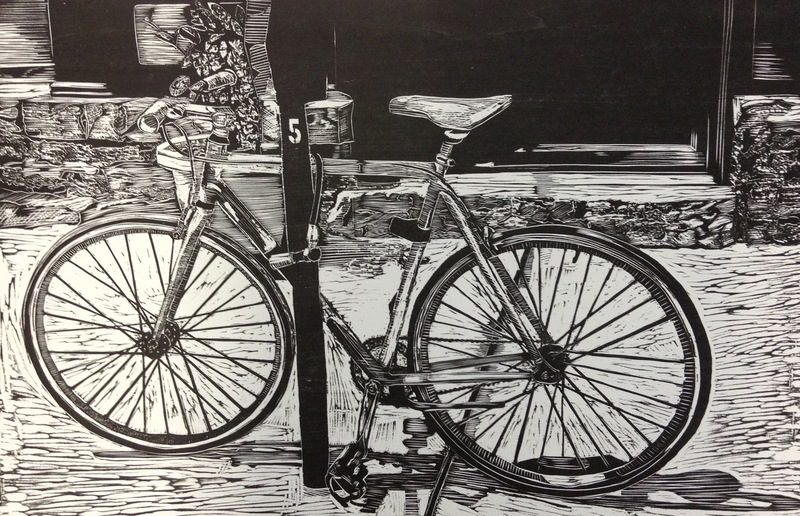 The exhibit “Pulling Prints Together,” by Phoenix Rising Printmaking Cooperative, is currently on display at The Club and will be featured through April 25, 2014. Diversity is a common theme seen throughout this collection of work. 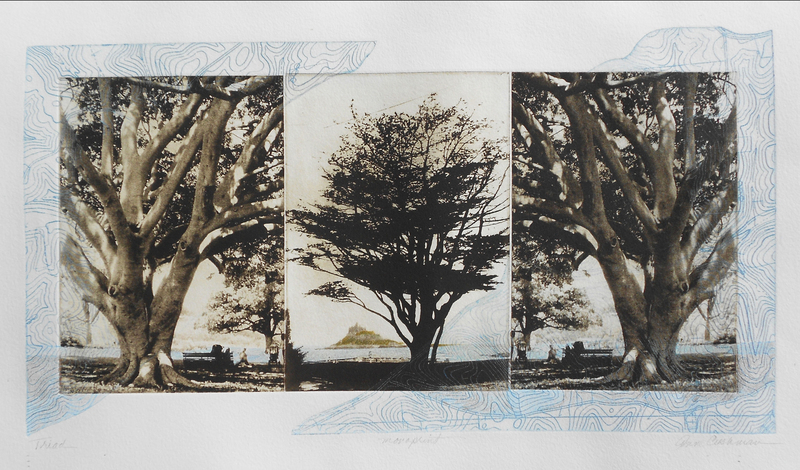 The exhibit features 16 artists from around the world ranging in age from 23 to 80 years old and a variety of printmaking methods including monotypes, collographs, intaglio and relief prints. 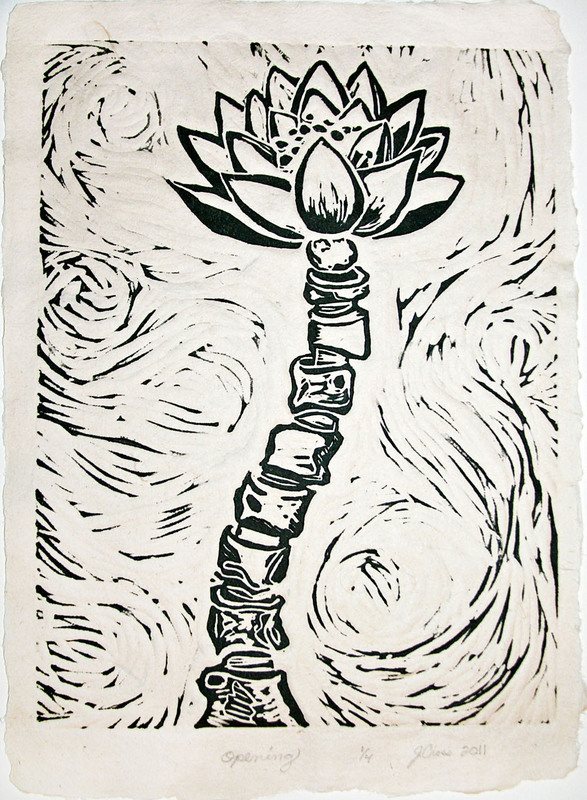 The Phoenix Rising Printmaking Cooperative is one of four non-profit print making organizations in Ohio which strives to promote educational opportunities and a well-equipped studio with an environment of mutual support and inspiration for campus community and local artists. 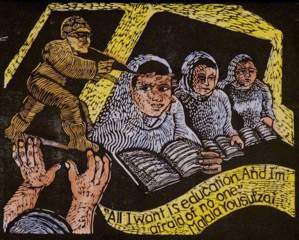 Faculty members of The Ohio State University were major contributors to the initial development of the organization with the original printmaking materials being purchased by the organization from the OSU Art Department. The Club kicked off the new art exhibit on the evening of last Friday, March 7th. There was a great turn out with over 50 of our club members, art patrons and the featured artists’ friends and families in attendance to celebrate and discuss the works of art. Guests attending the opening reception had the great opportunity to speak one-on-one with the artists and purchase works that caught their eye. Wine was flowing and complimentary hors’ doeuvres were enjoyed as attendees mingled through halls and explored the diversity of the exhibit. The Club hosts a free to attend Art Opening Reception at the beginning of each new exhibit. Stay tuned to our Club Events Calender for details regarding our next reception. This Friday, March 14th The Club will be hosting our Annual Art Auction and celebrating the event’s tenth anniversary! After a decade of development and notable reputation this year’s Art Auction is sure to be the best yet. The event is a fundraiser for the Faculty Club’s Building Endowment Fund and over the years has raised over $55,000, helping to light up our clubhouse with this vintage chandelier from the Deshler Hotel that once stood at the corner of Broad and High , and improve our accessibility to all of our members and guests with a much needed handicap lift in our Grand Lounge. The art featured at the auction is donated by OSU faculty, staff, students and art collectors. The event is free to attend, open to the public, will feature a cash bar, a mouthwatering spread of complimentary hors d’oeuvres and live music. The silent auction and preview of the live auction items begins at 6:00pm and the live auction will begin at 7:30pm. Stop by! It will be sure to be a colorful evening! 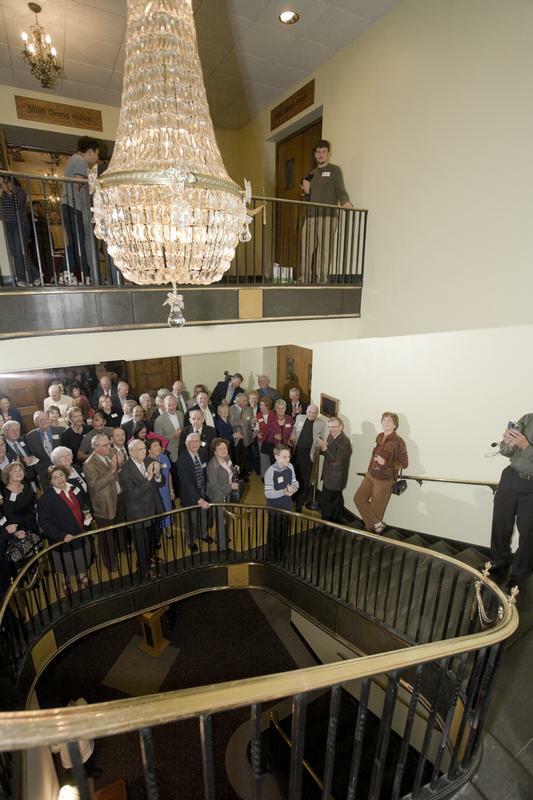 In November 2007, club members and the OSU community celebrated at an open reception in honor of The Club’s new shining centerpiece! 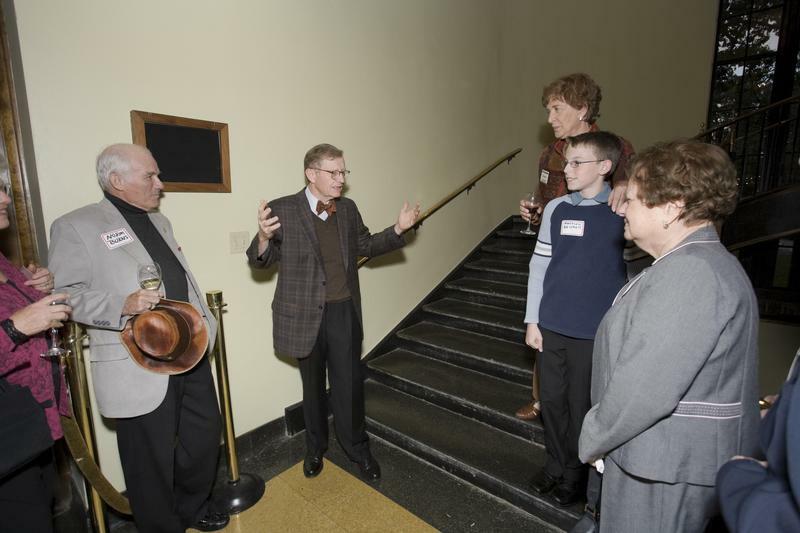 With past OSU President, E. Gordon Gee, in attendance it was truly an evening of celebration and a memorable triumph for The Club. Previous Previous post: Catering Trend: Treat Yourself to a (little) Dessert! Next Next post: “In the Spirit” at The Club: Staying Current with the Trends!